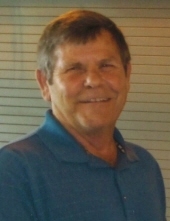 Steven J. Henderson, 70, of Parsons, died at 12:14 a.m., Friday, March 29, 2019 surrounded by family at his home. He was born January 17, 1949 in Wichita to John and Tressie (Teeters) Henderson. Steven grew up in Kansas, California and graduated from high school in Wisconsin. He worked for the Union Pacific Railroad retiring after many years as a yard and car foreman. Steve and Sandra Bernhardt were married in Tomah, Wisconsin. They later divorced. He married Sally Richer on November 21, 1980 in Sparta, Wisconsin and soon after moved back to Parsons. He enjoyed fishing, golfing, construction and remodeling work, and watching sports, especially the Green Bay Packers and St. Louis Cardinals. Survivors include his wife, Sally, of the home; children, Ranee Cronick, of Parsons, Eric Cronick (Flora) of Parsons, Stephanie Byrnes (Patrick), of Waunakee, WI, and Jonathan Henderson, of Parsons; eight grandchildren and four great-grandchildren; brothers and sisters, Pam Wright, of Parsons, Greg Henderson (Denise), of Tomah, WI, Teresa Henderson, of Olathe and Gary (Laurie) Henderson, of Kansas City, MO; several nieces and nephews. Memorial services will be at 2:00 p.m., Tuesday, April 2, 2019 at Carson-Wall Funeral Home. The family will receive friends from 1:00 p.m. until service time. Burial will be held in Springhill Cemetery. Memorials are suggested to Grace Hospice and may be left at or mailed to the funeral home at P.O. Box 942, Parsons, Kansas, 67357. Online condolences may be left at www.wallfuneralservices.com. To send flowers or a remembrance gift to the family of Steven John Henderson, please visit our Tribute Store. "Email Address" would like to share the life celebration of Steven John Henderson. Click on the "link" to go to share a favorite memory or leave a condolence message for the family.